Over the past several years, scientific teams have developed investigational methods for delivering a gene to correct a mutation in the DMD gene which causes DMD by creating dysfunction in a patient’s dystrophin production. Over the past several years, scientific teams have developed investigational methods for delivering a gene to correct a mutation in the DMD gene which causes Duchenne muscular dystrophy (DMD) by creating dysfunction in a patient’s dystrophin production. These gene therapies have become progressively more effective as delivery methods and the corrected genes have been improved. Recently, the success of these therapies in patients with DMD has been related to the use of a shorter DMD gene, which produces a smaller completely functional protein, micro-dystrophin. Investigators have used antisense oligonucleotides to mask the deletion of exons in the coding of the DMD gene. This has been shown to be successful in preclinical studies as well as in humans. With a number of gene therapies and exon-skipping therapies being evaluated in ongoing clinical trials, clinicians treating muscular dystrophies have begun to discuss the potential clinical implications of applying these therapies for patients with DMD. One of the treatments in development, suvodirsen, previously known as WVE-210201, has been designed by Wave Life Sciences for the 13% of patients with DMD who have a specific type of mutation in the DMD gene that makes them amenable to exon 51 skipping treatment. The safety, tolerability, and plasma concentrations of ascending doses of WVE-210201 are being assessed in an ongoing, multi-dose, open-label extension trial for boys with DMD aged 5 to 18 who carry the gene mutation amenable to exon 51 skipping. Preclinical experiments showed that suvodirsen was associated with a 52% increase in the levels of dystrophin protein compared with normal skeletal muscle tissue.1 As well, it was granted both orphan drug and rare pediatric disease designations from the FDA, following its orphan drug status granted by the European Commission. Another treatment in development is Sarepta Therapeutics’ rAAVrh74.MHCK7.micro-dystrophin, a micro-dystrophin gene therapy candidate under evaluation in a phase 1/2 clinical trial (NCT03375164). This shorter gene provides instructions for the production of a smaller form of the dystrophin protein and is delivered via a viral vector. As measured by Western blot, the levels of micro-dystrophin were reported as 74.3% compared with normal using Sarepta’s method, equivalent to 95.8% compared with normal pursuant to Nationwide Children’s quantification of Sarepta’s method, which adjusts for fat and fibrotic tissue. A potential confusion for these therapies is that they are mutation-specific—there is not a clear and efficient pathway for approval for exon-skipping drugs for additional mutations using the same backbone, so patients must have a particular DNA change to qualify for a gene therapy. There are additional considerations for which patients may be indicated and when, and what the duration of treatment could be. Proud detailed a number of questions which still need to be answered for these treatments, including the specifics about when to initiate treatment and what the specific threshold for initiation should be. Additionally, Proud posited that because many of the viral vector delivery systems in development permit a 1-time dose, there is some speculation about when and if the treatment will run its course, and if it were to only last a certain amount of time, it becomes paramount to decide when the best opportunity to give a treatment will be. “Is that going to be when these boys are declining between the ages of 7 and 10? Is it going to be when they’re little and they’re still quite strong, so maybe 4 or 5 years old? And are there other combination therapies that we can continue to utilize to maintain that strength,” Proud said. And these unanswered questions may not be resolved by the time these treatments come before the deciding regulatory authorities. “I still think we’re several years off from FDA approval,” she said. “Those are the things that we as neuromuscular neurologists are thinking about because we obviously want to be able to offer guidance to families on what’s best for their child. There are, right now, a lot more questions than there are answers. We’re still gathering a lot of data and we still have a lot of questions in the neuromuscular community. “But we’re very hopeful,” she added. Once suitability for gene therapy is determined for a patient with DMD, the determination of efficacy at the time of infusion, post-infusion, and in the subsequent weeks following infusion will be a vital step in the treatment plan. Immune response to DMD gene therapies is being taken into consideration, as the FDA has been both cautious and diligent about evaluating for potential AEs. “When we’re thinking about the type of treatment, we believe that the highest risk, at least that we’re aware of, is during infusion and the next couple of weeks following infusion is for the systemic and inflammatory response that can happen in the body,” Proud said. Recommendations for mitigating inflammatory response include a month-long dosage of an oral steroid (i.e., prednisolone) prior to infusion and monitoring the liver. A baseline aspartate aminotransferase (AST) and alanine aminotransferase (ALT) measurement and trending over time can help to ensure that those levels are not increasing and demonstrating that inflammation is not reducing. She noted that immune and inflammatory response is some­thing to be taken into consideration with these treatments, and that so far, the manufacturers and the clinical investigators have been thoughtful in their approaches to it. Bronson clarified that currently, there is some concern about the introduction of this new dystrophin—generated from exon skipping or gene therapy—into the body will cause an immune response that will render the therapy less effective. To evaluate the role of the immune system on dystrophin resto­ration, Nagaraju will explore the combination of exon-skipping or micro-dystrophin gene therapy with an immunosuppressive treat­ment. They plan to utilize 1 of the following 3 tactics in combination with treatment: rituximab, an anti-CD20 antibody used to treat auto­immune disorders and cancer, to block antibodies to newly produced dystrophin; abatacept (also known as CTLA4ig) to halt an anti-dystro­phin immune response; or either prednisolone, vamorolone, or epler­enone to test the respective reduction in inflammatory and anti-dys­trophin immune response. These considerations are necessary to determine how to sustain the gene therapy and exon skipping. 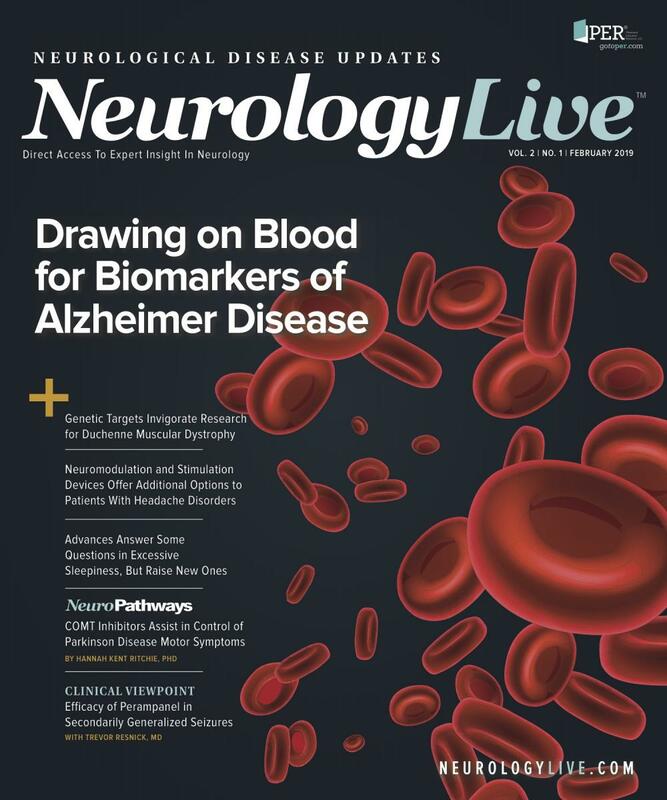 Proud explained that for the majority of physicians in the neuro­muscular community, expectation if and when these treatments make it to market is that they’ll be used in combination. There are a number of pathological points within DMD that can be targets of these treatments, she said. Within the disorder, there is a need to produce dystrophin to a level that allows for muscle strength to be maintained, as well as a need to reduce muscle breakdown that would otherwise continue through the course of the patient’s life. Proud also expressed concern with how muscle membrane stabilization will occur. Ultimately, it appears that even the best option won’t be a magic bullet. One area of important focus for Proud is biomarkers. Currently, the easiest to use and most available biomarker is creatine phosphokinase (CPK), which has been observed to decline in prelim­inary data of the gene therapies in development. This, Proud said, “is extremely hopeful” as it has not been seen with any other treat­ment modalities. She said that she anticipates that, regardless of the treatment, physicians will continue to pursue those assessments using a multidisciplinary approach, with those outcomes and measure­ments dictating the efficacy of these interventions. The introduction of genetics into treatment has also included benefits from genetic testing. At CHKD, the ability to evaluate each patient who is clinically diagnosed with a neuromuscular disorder is being able to characterize them molecularly. The opportunities that clinicians have to pursue genetic testing have rapidly expanded in the last decade, and typically, Proud said she is able to offer many of her patients a diagnosis of neuromuscular disease with genetics. With ongoing in-human clinical trials and potential FDA-approved treatments down the line, physicians are bringing genetics into the conversation more than ever before. For Proud, these treatments are discussed in almost every clinic visit. These treatments, even prior to approval, have offered her patients an option they never had. Whether patients choose to participate in clinical trials or not, Proud said she is having conversations about 3 to 5 years from now, when treatments may be approved, including what may or may not applicable to a specific patient. Being able to offer enrollment in trials is one of the most important pieces of care for Proud. It’s something she described to NeurologyLive as part of her duty as a physician to propose partic­ipation in clinical trials. “That’s a critical piece of have in a neuromuscular clinic, being able to offer families opportunities because those are opportuni­ties of hope for them,” she added. 1. M. Wood, J. Zhang, K. Bowman, et al. WVE-210201, an investigational stereopure oligonucleotide therapy for Duchenne muscular dystrophy, induces exon 51 skipping and dystrophin protein resto­ration. Neuromuscular Disord. 2017;27(2):S217. doi: 10.1016/j.nmd.2017.06.442. 2. Wave Life Sciences announces positive phase 1 results for WVE-210201 in Duchenne muscular dystrophy (DMD) [press release]. Cambridge, MA: Wave Life Sciences; December 6, 2018. wave­lifesciences.com/news-releases/news-release-details/wave-life-sciences-announces-posi­tive-phase-1-results-wve-210201. Accessed Janu-ary 28, 2019. 3. Wave Life Sciences Duchenne muscular dystrophy clinical trial selected for FDA Complex Innovative Trial Designs Pilot Program [press release]. Cambridge, MA: Wave Life Sciences; January 3, 2019. ir.wavelifesciences.com/news-releases/news-release-details/wave-life-sciences-duchenne-mus­cular-dystrophy-clinical-trial. Accessed January 28, 2019. 4. Sarepta Therapeutics announces that at the 23rd International Congress of the World Muscle Society, Jerry Mendell, M.D., presented positive updated results from the four children dosed in the gene therapy micro-dystrophin trial to treat patients with Duchenne muscular dystrophy [press release]. Cambridge, MA: Sarepta Therapeu-tics; October 3, 2018. globenewswire.com/ news-release/2018/10/03/1601085/0/en/Sarepta-Therapeutics-Announces-that-at-the-23rd- International-Congress-of-the-World-Muscle-Society-Jerry-Mendell-M-D-Presented-Positive- Updated-Results-from-the-Four-Children-Dosed.html. Accessed January 28, 2019. 5. Solid Biosciences Announces Preliminary SGT-001 Data and Intention to Dose-Escalate in IGNITE-DMD Clinical Trial for Duchenne Muscular Dystrophy [press release]. Cambridge, MA: Solid Biosciences; Published February 7, 2019. solidbio.com/about/media/press-releases/solid-biosci­ences-announces-preliminary-sgt-001-data-and-intention-to-dose-escalate-in-ignite-dmd-clini­cal-trial-for-duchenne-muscular-dystrophy-1. Accessed February 7, 2019. 6. Parent project muscular dystrophy awards $329,000 grant to Binghamton University to examine the role of the immune system on dystrophin restoration [press release]. Hackensack, NJ: PPMD; December 19, 2018. prnewswire.com/news-releases/parent-project-muscular-dystrophy-awards-329-000-grant-to-bingham­ton-university-to-examine-the-role-of-the-immune-system-on-dystrophin-restoration-300768740.html. Accessed January 28, 2019.